In the wake of a horrific act of gun violence that took the lives of 50 people—including children—New Zealand did this crazy thing. They banned the types of assault rifles that can destroy hundreds of lives in a matter of seconds. Knowing that the solution is imperfect, they took a step towards preventing this sort of carnage in the future. Also recognizing that racially motivated violence is on the rise, they made a move that will hopefully keep weapons of mass destruction out of the hands of those who might want to harm large groups of people. Particularly, large groups of people who might be gathered all in one place together, and therefore easily targeted. So yes, they did this crazy thing. Banning assault rifles and establishing a buy-back program for existing weapons. I mean, who does that!?? Perhaps a nation not accustomed to the daily routine of bloodshed wrought by guns. In New Zealand, such an incident was shocking, tragic and unacceptable. Swift and practical action came naturally. Here on the other side of the globe, gun violence is a part of life we’ve just come to accept. The price one pays for freedom, and possibly the lyrics to a (bad, pop-crossover) country song. We’ve become so desensitized to the escalating body count, the whole “logical, reasonable, responsible” approach eludes us. 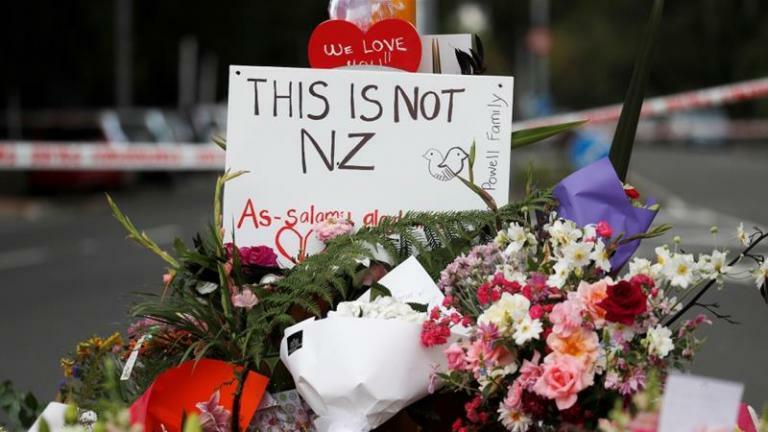 This “crazy” thing New Zealand lawmakers did—and by “crazy,” I mean logical, reasonable, responsible and smart—should set the tone for all of us. But I know that’s a pipe dream for the land of the free. I know that when our lawmakers propose such measures, it is just more screaming into the void, driving a further wedge between left and right. Why is such a simple solution so hard for us? What have they got that we don’t?